Netflix and the NFL are utilizing the high-quality drone video, but your aren't likely to see it soon. Amazon is fighting for drones to be able to deliver packages in the near future. There are 3,000 drone operators in the U.S. with the proper exemptions. Leave the drone footage to them. 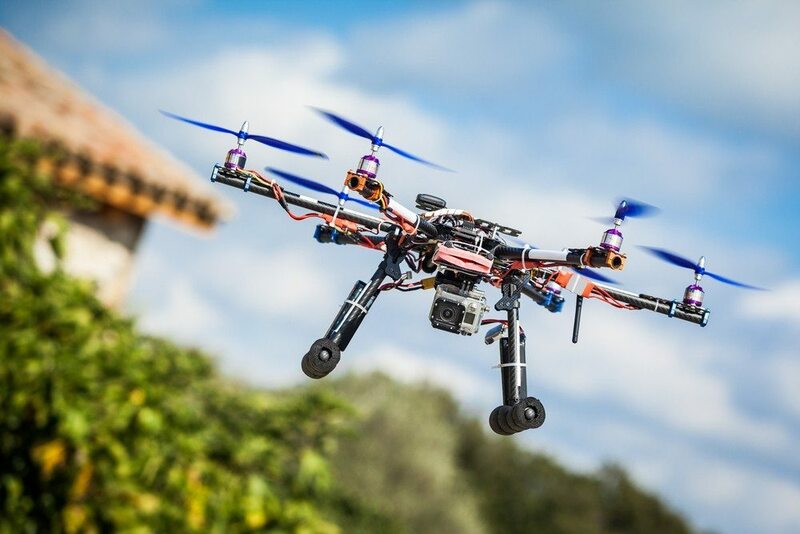 What’s the future for drones in real estate look like? Well, that’s exactly the question moderator Jeff Lobb and Matthew J. Leone, senior vice president of digital marketing at Terra Holdings – Brown Harris Stevens, tackled in the Next Generation Drones: Pricing, Business Models, Quality And Applications panel at #ICNY. Leone showed several drone models during the discussion, but perhaps one of the most impressive was the Inspire 1, which costs somewhere between $3,000 and $5,000 and takes three people to operate. The trio required will utilize one to work “the bird,” one to work the (full 360-degree, 4K) camera and another just to keep eyes on it. Leone said the output is amazing — which is exactly what you’d want because when you want to learn the craft and get the FAA exemption, you want the best. As far as 4K video becoming a thing that consumers will see on a regular basis … probably not in the near future. However, Netflix is beginning to use 4K, which is four times what 1080 is, but you wouldn’t be able to see the difference on a screen smaller than 60 inches. Sports are also utilizing the technology, but not for current use. The NFL is capturing 4K video, but it won’t translate anytime soon. In a few years, though, you will probably see it in flashback footage on Sunday Night Football. The consumer’s comfort level with drones will probably change in the next few years. Amazon sort of broke the Internet when it said it’d be flying these in a few years to deliver your small packages. Consumers can also look forward to having packages delivered to their door in the next five years as Amazon wages the battle on the federal level. Don’t be concerned about random drones flying into objects and passersby, though. The drones will use a technology similar to the tech that Web cams use to follow you around when you move during a Skype session or the like. And in the future, according to Leone, for $250,000 and a lot of legal barricades, you can fly yourself to work — provided that your work is within 23 mins of takeoff. The EHANG 184 will get you there at 60 MPH. The big takeaway is that as real estate professionals, we are content marketers, and a great way to differentiate is to provide stunning visual content — ergo drone footage. There are 3,000 people around the country that have Federal Aviation Administration (FAA) exemption, and you should leave drone footage to the professionals — don’t be Phil Dunphy about it. You should leave drone footage to the professionals — don’t be Phil Dunphy about it.